Pastor J. Marcellas served over the music department for his father for four years. He then moved to Atlanta, Georgia in January 2005 to pursue his education at Beulah Heights Bible College. While in Atlanta, he was appointed over the music department at Greater Victory Christian Center-Pastor Wendy Smith. In the fall of 2006 he attained an Associates of Arts Degree in Biblical Education from BHBC. Furthermore, Pastor J. Marcellas married the love of his life Marquita Green October 2006. After much prayer God led Pastor J. Marcellas to take the torch as Pastor of Vision Baptist Church. He was ordained December 2006. January 2007 he began pastoring and faithfully served VBC for nine months. He was now tasked by God to become Founder and Pastor of Life Church International Jacksonville, Inc. He has served this flock since its inception and the ministry has grown tremendously. Pastor J. is also the proud father of Navah Simone, Jade Michelle and Marcellas Dominic Williams. In addition, he currently serves as the Adjutant Chaplain to the Presiding Bishop of the United Covenant Churches of Christ, Bishop Eric D. Garnes and as a Chaplain for UF Health Jacksonville. He is currently pursuing his bachelor in business and administration. 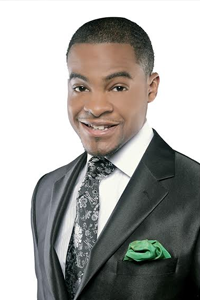 Pastor J is also the founder of J. Marcellas Enterprise which has produced his first book “Wealth On Purpose”.